Sheikh Jee Home Furnishings deals in fabrics accessories and lights for use at home. 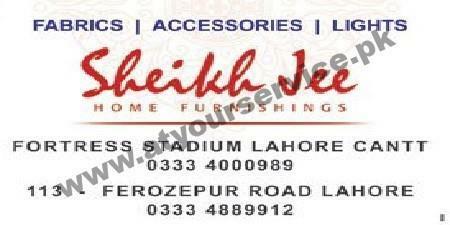 Sheikh Jee home furnishings is located on Ferozepur Road, Lahore. It deals in fabrics accessories and lights for use at home.